Reflection, speed and exploring the world – those are just some of the elements in our 3 new Active Floor games. 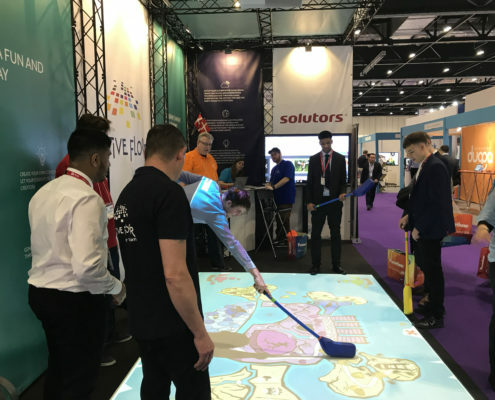 During the winter of 2018, Active Floor participated in an entrepreneurship fair for schools which was about how you get seventh graders moving during class. At our workshop, three seventh-grade classes had 50 minutes to test out Active Floor, brainstorm, develop an overall concept for a game and present it for the rest of the class. This is the background for how our 3 new games came to be. Spin it, better known as ‘spin the bottle’, is a game where the participants either have to perform various activities or answer questions. The players stand in a circle on the floor with the empty bottle placed in the middle. 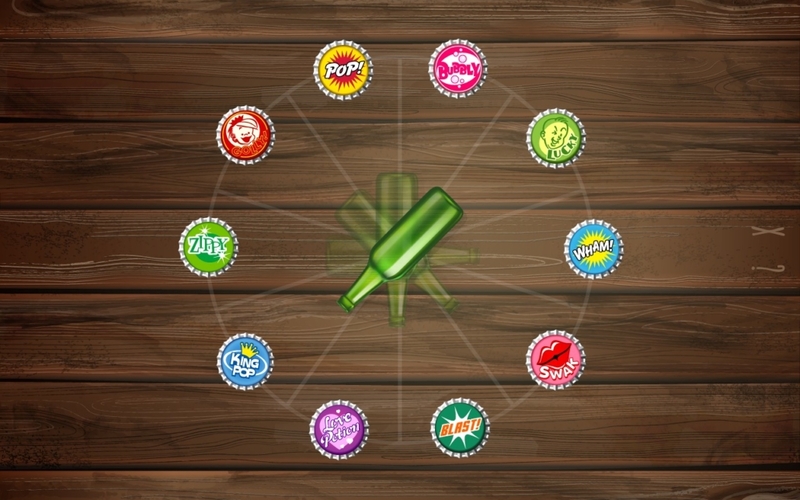 One of the players steps on the bottle to make it spin. The person to whom the bottle points when it stops has to either carry out an activity or answer the question that pops up. When the player has completed the task, she/he has to spin to bottle. In this game, the players can learn a lot of things about the other players, or simply challenge the others e.g. to do 10 push-ups. This game stimulates self-understanding as the participants get their own individual and challenging activities/questions, which they have time to reflect on. 2-10 players can play this fun game at once. Globetrotter is a quiz which is quite different from the other games in Active Floor. In this game, 6 teams compete in being globetrotters. Each team takes turns to receive a number of hints which are aimed at revealing where the players are in the world, country or city. When the players have gone through their hints, they have to guess where they are. They guess by dropping a pin onto the map. If the pin is placed correctly, you receive a globetrotter point. During the game, the participants can choose a team that they want to be friends with, and in this way, ask their ‘competitors’ for advice. This produces a ‘friendship point’ which goes to the helping team. After each round, the opponent teams can choose to award the playing team with a ‘like’ (heart) if they think that they did a great job, were good at collaborating or especially good at solving the globetrotter question. When the game ends, there are three winners: The Best Globetrotter, The Best Friend and The Most Acknowledged. 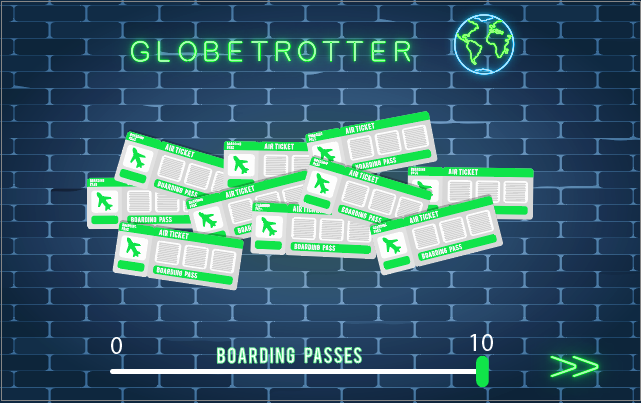 The Globetrotter game trains collaboration, acknowledgement and culture. BuzzIt is a classic quiz where the players have to use their Buzzer to answer various questions. The objective is to get as many points as possible. Each player/team gets their own Buzzer. A question appears on the floor and when the Buzzers are blinking, it is time to tap the Buzzer to answer the question. 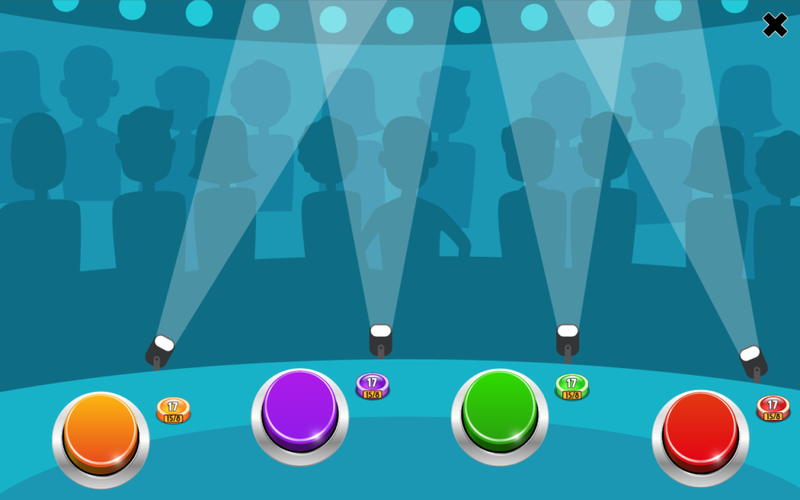 Only after the player has tapped the Buzzer, 3 possible answers appear. In BuzzIt the players’ knowledge and memory are put to the test. If the player answers correctly, s/he gets the point, while if the wrong answer is chosen, the opposing players get a point. 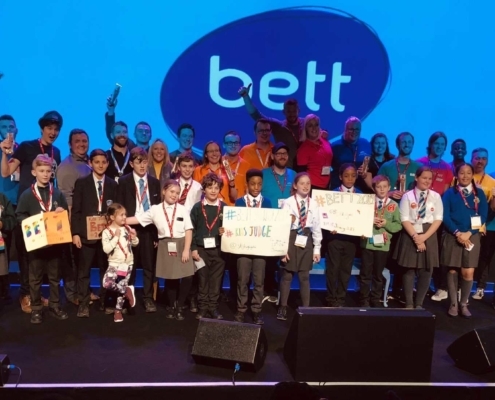 BuzzIt is a memory training game which targets skills in collaboration.